Light: Moderate to bright light. No direct sun, which can scorch the fronds. Give the pot a quarter turn each week for even growth. Water: Keep soil evenly moist. Water the potting mix, not the center of the rosette, otherwise it can easily rot. Water less in winter. Yellow fronds are often a sign of overwatering. Humidity: Moderate. If the relative humidity drops below 50%, use a humidity tray or room humidifier to add moisture to the air around the fern. Brown leaf tips are a sign of dry air. Temperature: Slightly cool to average room temps (60-75°F/16-24°C) suit this tropical fern just fine. Soil: Peat moss based, such as African violet potting mix. Propagation: This fern is propagated by spores, which is difficult to do for the home grower. As Bird Nest Fern ages, the oldest, outer fronds will turn brown. This is normal. You can cut them off at the base to keep the plant looking neat. Those upright fronds tend to be dust-catchers. 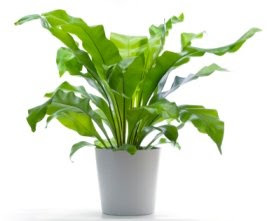 Keep the broad, shiny fronds dust-free by spraying with water and gently wiping them with a damp cloth. Never use leafshine products on ferns because it can severely damage their delicate fronds. Repot young plants in spring, every couple years or when the roots fill the pot. If you find that the roots are attached to the pot, run a knife around the inside to loosen them before you can remove the rootball. You may need to break the pot to remove it. It's a good idea to use a container with drainage holes to avoid soggy soil. Take care not to pack down the potting mix; this fern likes a loose mixture. This fern's problems are few. Watch for scale insects, that look like small, brown discs on fronds. If you find an invasion of these pests, spray with soapy water followed by clean water. Don't use insecticides on ferns because they are easily damaged by chemicals. 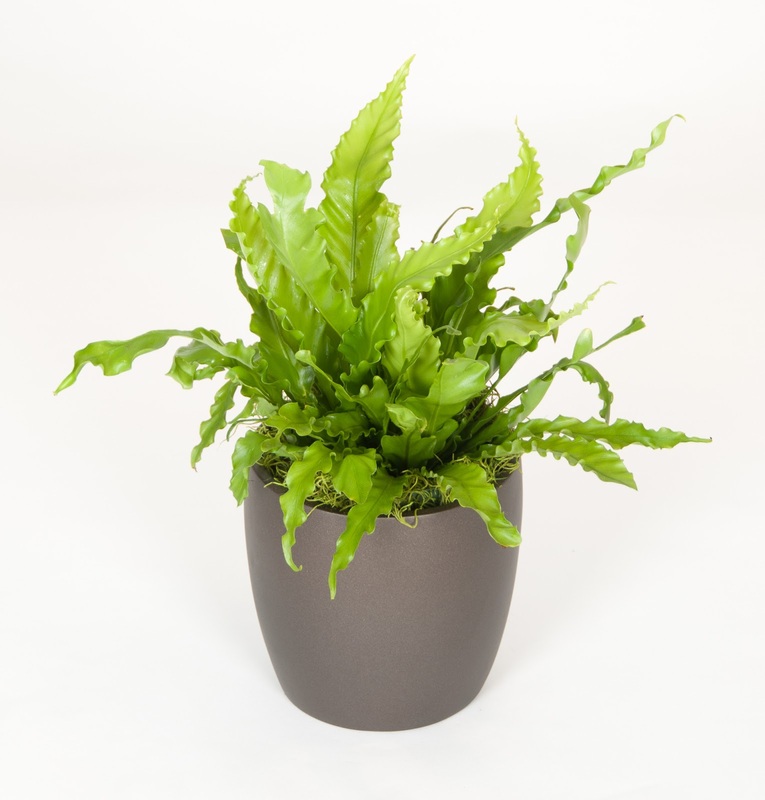 Interested in placing the Bird's Nest fern or other plants in your work space? Contact Everything Grows today if you would like to add grade A commercial quality living indoor plants and custom containers to your workspace. We service the entire San Francisco Bay Area, with our expertly trained plant care technicians taking amazing care of the plants in your facility.